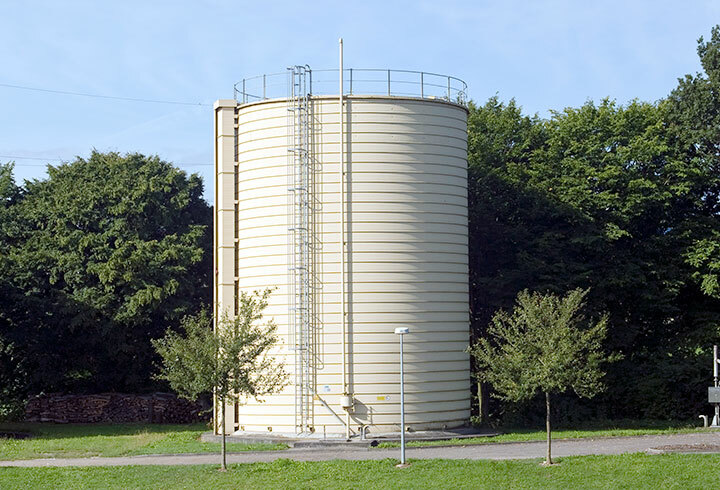 The pressureless gas storage system of Lipp is used for the storage of gas produced on landfill sites, waste water treatment plants and also as external storage on biogas plants. The system is determined by its robust and technical advanced construction where the gas balloon is protected by a galvanized steel tank. This protects the balloon against UV-light and also other external factors. The system is mostly utilized at landfill sites or WWTP to buffer the gas before its further processing. The experience gained during the past decades has improved the complete system and the single components and makes it a perfect choice for end-users and general contractors. Beside the protection against external effects as UV or other external effects which could damage the foil, the unique construction enables a reliable and measureable leak-test as well as an accurate filling level measurement at all times. Compared to low-pressure systems and double-membrane gas accumulators the Lipp system has very low operation and maintenance costs. 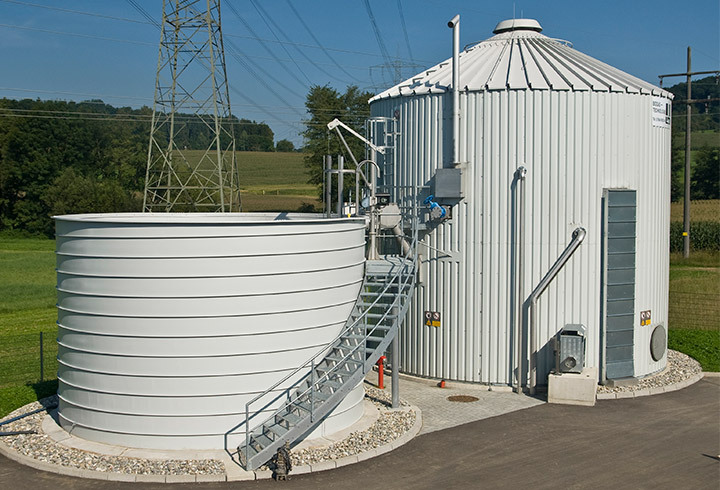 Industrial biogas plants in a modular design.